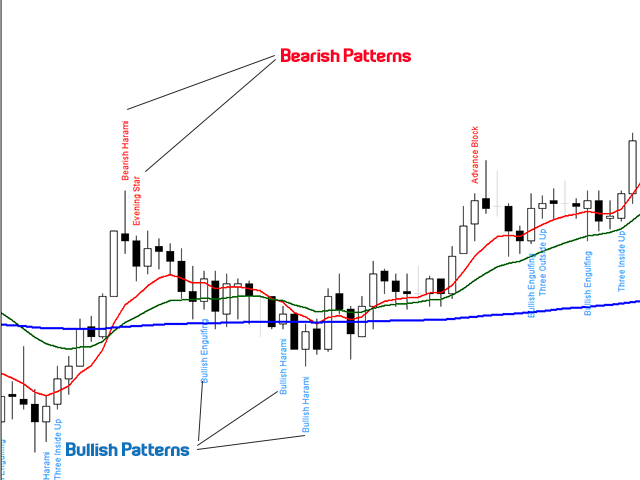 That way beginners and also professional traders who have difficulties in visually identifying candlestick patterns will have their analysis in a much easier format. Did you know that in general there are 3 types of individuals: Visual, Auditory, and Kinesthetic? 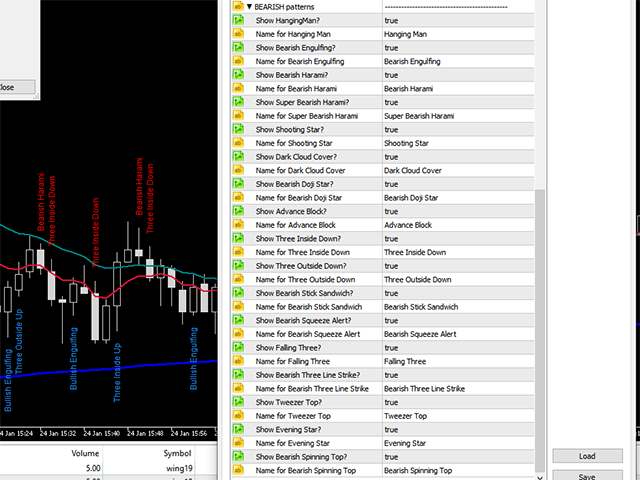 Don't be ashamed if you cannot easily recognize Candlestick patterns. We get you covered! We named the "Super Bullish Harami" to a variation pattern that is more powerfull, or at least, have more probability of a reversal than the traditional Bullish and Bearish Harami. It consists of the whole candle (high,Low, Open, Close) being engulfed by just (and only) the body of the previous candle. 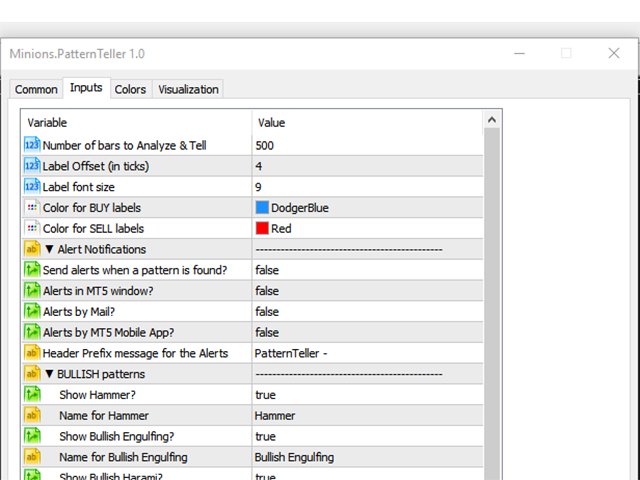 You can set the past number of Bars to analyze, so you can save resources of your MT5. Set the distance (offset) of the labels from the candlesticks, as close or as far as you want. 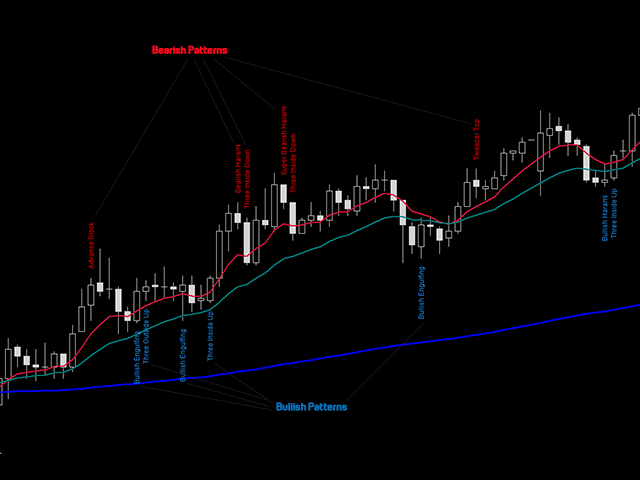 Set the color of the Bullish and Bearish labels. 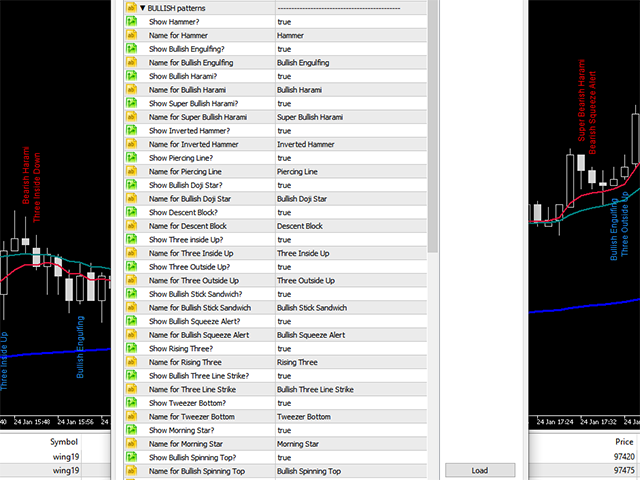 Enable/Disable each candlestick pattern on the chart. Ability to change the Name of each pattern, so you can use your preferred names of your study/methodology within your chart. Alerts through: Window Popup, e-mail, MT5 Mobile App. All individually customizable (On/Off). No product is perfect for everyone. If you think you need a missing feature from our product just send us a message. We love feedback! Flavio Jarabeck is the owner of MinionsLabs.com, an entrepreneurship focused on leveraging the knowledge and experience of professional traders through automated trading robots, freeing them to seek new opportunities and strategies in new markets and assets. Why the Price of USD 30,00? Now, the minimum Price of anything in the marketplace is USD 30,00. We at Minions Labs believe in very low prices but there is nothing we can do about it... So, the THING we can DO about it is giving this product for you FOREVER! How? We will give you *1,000 ACTIVATIONS* if you purchase this product. This way, the product will be yours as a LIFETIME license!